I am very interested in learning more about wines from around the world. Chris and I had the opportunity to meet Jill at a local bottle shop a few weeks back. During our short visit, we talked briefly about wine, traveling, and Lebanon. We wish that we had more time for additional conversations. We plan to keep in contact with Jill and hopefully, someday we can visit Chateau Belle-Vue. Jill explained that she is planning another trip to Minnesota this summer (2106) as she has family here and we plan to reconnect upon her return. Hopefully, we’ll have more time the next visit over a glass or two of wine. Bill – Most people do not associate wine and Lebanon. How long has wine been made in Lebanon, and how long have you been personally involved in winemaking there? The tradition of winemaking in Lebanon is a very old one. Chateau Ksara (one of the oldest wineries) stores some of its bottles in caves dug into the mountainside and used for wine storage by the Romans! Phoenician ships (3000+ years ago) have been found at the bottom of the Mediterranean Sea loaded with wine in clay amphoras. And at Baalbek (in the Bekaa Valley) a Roman temple in honor of Bacchus still stands as the centerpiece of an enormous complex of ruins, almost 2000 years after its completion. As for Naji and me, we started planting vines for the explicit purpose of winemaking in April of 2000. But we are planting on historic vineyard terraces carved into the mountainside over the course of centuries by Naji’s ancestors. They always grew grapes in this village, just like a village on the coast might be known for bananas or citrus and a town inland might have a reputation for incredible olives. Bhamdoun’s mountainside is all about grapes, and for the last 16 years, the noble varieties, used to make world-class wine. 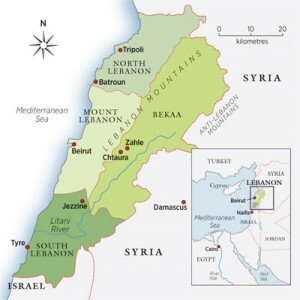 Bill – Do you consider Lebanon a New World or Old World winemaking region? Lebanon’s past qualifies it as an Old World wine region, but I would qualify that to say it’s a “rediscovered” old world wine producer. The Romans recognized it and utilized Lebanese vineyards as part of their “breadbasket” for Rome. The current resurgence owes itself more to a return to heritage, as a few conscientious and educated Lebanese “push back” against the unrestrained development of traditionally agricultural land. That’s what Chateau Belle-Vue is doing, anyway. Bill – What makes wines from Lebanon different from wines in other parts of the world? There are reasons why this region suffers from instability and a certain level of chaos—it is a very desirable tract of land situated on the eastern edge of the Mediterranean Sea. Less than 150 miles from north to south and as little as 30 miles across, Lebanon still has an incredible diversity of plant life, from coastal plain to mountain heights, in conjunction with a fantastic climate (snowy/rainy winters and long sunny summers). Virtually anything can grow in Lebanon. In terms of viticulture, I can speak with authority about our project—we grow all our own grapes organically on a terraced mountainside between 950 and 1200 meters above sea level. Because we face the Mediterranean, we benefit from plenty of rainfall in the winter and fresh breezes year-round. But the lack of humidity in our micro-climate during Lebanon’s rainless summer months offers us ideal conditions for growing grapes year after year. This is the magic of making wine in Lebanon—we benefit from very consistent climatic conditions which are conducive to high-level viticulture results. Translate that to say that at Chateau Belle-Vue, we harvest incredible fruit every single year. That’s what makes winemaking here unique from other regions. Bill – Are there winemaking regions in Lebanon like the AVA? How are they identified? Are there unique differences between the regions? A series of unique appellations (like in France) were established a few years ago here in Lebanon. The most well-known would likely be the Bekaa Valley, which happens to be where most agriculture of all kinds is done in Lebanon. Chateau Belle-Vue is in the appellation called Mount Lebanon. There are very big differences between the different appellations, as well as very different results in the grapes grown and wine made in each. The other major difference is the price of land. Farmland in Mount Lebanon can be extremely expensive because of a much closer proximity to Beirut (our project is a mere 25 minutes’ drive from the city) whereas farmland in the Bekaa Valley would be much less likely to be desirable for development. Bill – Are there certain varietals that grow better in Lebanon than others? It would be hard to replicate the growing conditions necessary to make a decent pinot! But we’ve found that our original idea to use the “noble varieties” has been a good one. We’ve been delighted with the results—especially with our outstanding Syrah, Cabernet Franc, and Sauvignon Blanc. One of our big successes overall, in my opinion, is how each varietal utilizes the expressiveness of the terroirs to its own unique benefit. Come and taste from the barrels one day—you’ll see that the Cabernet Sauvignon from 1050 meters (NE-facing) has a very different result from its sibling at 1200 meters (facing full west). It’s extraordinary to see our sensitivity to this develop over the years. It took a while to realize that what goes well beyond nuance is no fluke—like it says on our bottle “Notre terroir se revele” (our terroir reveals itself). Bill – What made you and your family decide to leave London to live in Lebanon? This is a loaded question. So many things at the time pointed in the direction of a move… I think it’s fair to say that we just read the signs and acted accordingly. We were very happy in London all through the 90’s. We had great friends and a busy family life with our young children. It was clear, though, even way back then we knew that as a couple and as a family, we had more to offer. Naji had always said that if the opportunity arose for him to return to the village where he grew up to help people, he’d want to do that. And I loved him enough to say yes. It was not a decision either of us took lightly, and at the time, you just hope and pray it would be the right move. But looking back across nearly seventeen years—I know it was absolutely the right decision for our family. I know this first and foremost as a parent: I am in awe of the incredible people we were able to raise in this environment. My kids will never take their privilege for granted. They will work hard, knowing that their responsibility is to lift others up along the way. I am incredibly grateful for that gift we were able to give them, raising them in fairly challenging conditions. As for Chateau Belle-Vue. . .our work has given Naji and me enormous satisfaction. All that we’ve been able to accomplish means a lot. I always say that we would be doing this even if the wine was just “okay”. But the wine’s success continues to be a great motivator. It deserves to be on every great wine list as an ambassador of this complex and fractured place. Bill – I believe your latest release in the US is 2009? Why do you hold back the bottles so long? Yes, we are about to launch to 2009 vintage in the US. Holding back each vintage is a reflection of the wine, for sure. The 2009 is our seventh vintage. Finally, because our production is increasing little by little over time, we are able to keep the wine cellared until it is much closer to its optimum drinking time. The first few vintages were released after just 4-5 years (including 24 months in new French oak and over a year in bottle storage), but not necessarily because the wines were ready. Their release was more a function of economics and the bottom line. We had to get some cash flow started. So the “solution” we came up with in those early days was to sell the first vintages within our Chateau Belle-Vue wine club. The original wine club members were friends and supporters of our project, many of whom had helped harvest grapes used to make the wines they purchased. The saving grace of the wine club was that every member had his/her case each year, but we could recommend drinking a bottle or two (opening it way early and decanting at least once) and storing the rest for the foreseeable future. That’s how we got around releasing the wines at a point we considered to be “before their time”. Now, by our seventh vintage, we are more comfortable production-wise, which means we can hold off releasing a new vintage for about seven years. Our wines seem to be very close to ready at that point. Bill – How many hectares of land do you farm? The short answer is 24 hectares or about 60 acres. The longer version is definitely more interesting, and it has to do with how these 24 hectares came to be under vine. We planted three small plots of land that first spring, back in 2000. Shortly after, word began to spread in the village, and the phone began to ring—mostly expats living abroad who wanted to offer support. “My grandfather’s land is just sitting there. . .plant it” is a familiar plea we heard countless times. The other scenario is that villagers who needed cash to pay tuition or a hospital bill would very often come to us first, to see if we could incorporate their land into our project. If it even remotely made sense, we always said yes. So in that way, over 15 years, we now farm more than 130 unique plots of land all over the valley. This “unplanned” growth has had positive ramifications: first, we never approached anyone to sell land to us, so any potential mistrust of our intentions was mitigated; second, because the plots are spread out over most of the valley, it has become nearly impossible for anyone contemplating residential development to have a large enough plot to work with, so the valley will remain agricultural; and third, because our clear preference is to lease land from local owners whenever possible, every major family in the village now owns land which is farmed by Chateau Belle-Vue. We do everything and pay them for the fruit grown on their property. The whole village will share in our success. We are so proud of this. Bill – Do you have a favorite varietal? As a matter of fact, I do! I always loved Sauvignon Blanc, so no big surprise that we planted that (and after witnessing its incredible popularity, we keep planting more!). But the surprise favorite which snuck up on me unexpectedly is Cabernet Franc. It happened as we blended our Le Chateau 2005, which for years poured like liquid silk, fragrant like blueberries and so incredibly luxurious in the mouth. . .anyway, our Chateau blend is a nod to the barrels we set aside from each vintage which is beyond fantastic. The few barrels of Cab Franc are always, always among them. I would love to do a single varietal wine with it though I can appreciate the value of blending to compliment and support a wine’s qualities. (Part of me is shouting, “Why mess with perfection? !”) I’ll keep working on my husband and our winemaker. Maybe one day. When you visit our vineyards and winery, remind me and we’ll taste it from the barrels. That alone would be well worth the trek to Lebanon! 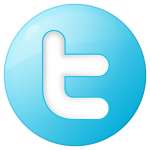 Bill – I am looking for to this day. Barrel tastings are one of my favorite things to do in the cellar. Bill – Is there a winemaking region you would like to visit and why? There is actually two wine growing regions I will move heaven and earth to visit—South Africa and Chile/Argentina. Bill – When you are ready to visit South Africa, we will be there with you! If you want to learn more. Go to their website Chateau Belle-Vue.